A 1,600-year-old Mayan stone tablet describing the rule of an ancient king has been unearthed in the ruins of a temple in Guatemala. The broken tablet, or stela, depicts the king’s head, adorned with a feathered headdress, along with some of his neck and shoulders. On the other side, an inscription written in hieroglyphics commemorates the monarch’s 40-year reign. The stone tablet, found in the jungle temple, may shed light on a mysterious period when one empire in the region was collapsing and another was on the rise, said the lead excavator at the site, Marcello Canuto, an anthropologist at Tulane University in Louisiana. 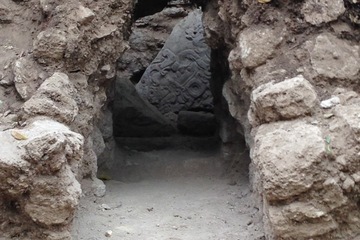 The team found the broken stela while excavating the ancient ruins of El Achiotal, a site occupied between 400 B.C. and roughly A.D. 550. Though archaeologists had been excavating at the site for years, they only discovered the stone tablet while digging a trench that revealed a hidden chamber at the site. The room was a sanctuary or shrine, and was so small that researchers had to crouch to get inside. The stela was broken so that the portion that likely once depicted the King’s body was missing. Some of the hieroglyphics were worn away. But based on the inscriptions that were legible, the stela seemed to be commemorating a king who was the fifth vassal of another king. “He’s someone under another larger person. He has an overlord of his own,” Canuto told Live Science. The stela was also dated using the Mayan calendar, though the date was partly rubbed off. 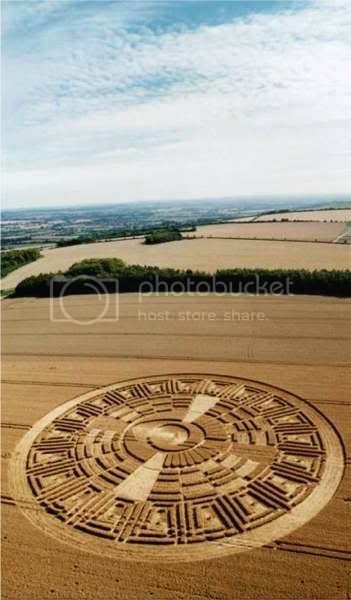 Given the text that remains, the number could refer to one of four possible dates, but the likeliest is equivalent to A.D. 418. Because the stela was celebrating the king’s 40th year in power, the ruler likely ascended to the throne in A.D. 378, the researchers deduced. The year 378 was a significant one for the Mayans. “It is like a Waterloo date for the Mayan, or a July 4, 1776,” Canuto said. At that time, several texts describe a political upheaval wherein the king of Teotihuacan, near modern-day Mexico City, came down to the majestic capital city of Tikal in what is now Guatemala and overthrew its leader. (Whether that leader was killed, committed suicide or was simply deposed isn’t clear from texts, Canuto said). The king of Teotihuacan then placed one of his own vassals on the throne. The new finds suggest this political shift may have included the smaller site of El Achiotal as well, Canuto said. Thus, it’s likely that the vassal who ruled Tikal for the Teotihuacan king also appointed underlings to rule smaller subkingdoms — and one of those underlings was the king of El Achiotal, Canuto speculated. Shards of broken pottery and debris reveal the shrine and the stela at El Achiotal were venerated for about 200 years, until the site was abandoned between A.D. 500 and A.D. 650. Interestingly, roughly 12 miles (20 kilometers) away are the ruins of another Mayan site, a courtyard residence known as La Corona. Ruled by a northern kingdom called Calakmul, La Corona came to prominence just as the El Achiotal shrine was abandoned. Thus, it’s possible “the fall of one was at the hands of the rise of the other,” Canuto said. The stela also suggests the upheaval at Tikal was part of a larger political realignment, not just a local takeover, Canuto said.